When two great men—and what great men, in fact the greatest philosopher of the twentieth century and one of its most important writers!—correspond with one another, what do they discuss? Not always great things: they also exchange pleasantries and speak of their publications, travels, and trivial preoccupations. But sometimes the tone rises. And sometimes it becomes sublime, as in 1956 when Jünger consulted Heidegger about the exact meaning of a maxim of Rivarol and received a veritable course in philosophy, stupefying in depth, on the concepts of time and movement. The correspondence of Ernst Jünger and Martin Heidegger began in 1949 regarding plans for a journal called Pallas to be edited by the essayist Armin Mohler (who was Jünger’s private secretary from 1949 to 1953). This project came to nothing—but subsequently Jünger, along with the historian of religions Mircea Eliade, created another journal called Antaios. Their correspondence continued until Heidegger’s death in May 1976. Published in Germany in 2008, it is now available in French, beautifully translated, edited, and annotated by Julien Hervier. It offers a rare kind of pleasure. 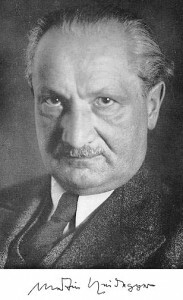 It was the preceding year, at the end of 1948, that Jünger first met Heidegger in his hut in the forest at Todtnauberg. Later he wrote: “From the beginning, there was something—not only something beyond word and thought, but beyond the man himself” (Rivarol and other Essays). But what is most striking about these letters is the difference in tone between the philosopher and the writer. Both men genuinely admired one another, but intellectually Heidegger completely dominated his interlocutor. Jünger does not offer the slightest criticism of Heidegger, but the reverse is not entirely the case. He [Jünger] does not have the slightest idea of what occurs in the “objectification” of the world and man. Ultimately his knowledge remains psychological and moral. . . . He always remains within metaphysics. . . . Because Jünger does not see what is uniquely “thinkable,” he regards the fulfillment of metaphysics as the essence of the will to power as the dawn of a new era, whereas it constitutes only a prelude to the rapid decrepitude of all recent innovations, destined to founder in the ennui of a nothingness of insignificance that incubates this abandonment of Being that is proper to beings. 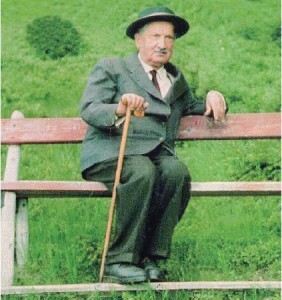 Heidegger, in any case, was interested in Jünger for a long time. In 1932, The Worker, the great theoretical book of the veteran of the front, held Heidegger’s attention like few other works. During the winter semester 1939–40 at the University of Freiburg, Heidegger even devoted a whole seminar to this book. The texts that he wrote on Jünger, collected together in a volume of almost 500 pages published in Germany in 2004 (volume 90 of his complete works, still in the course of publication by Vittorio Klostermann! ), testify eloquently. In Jünger, Heidegger admired someone who had understood the world based on the will to power and had clarified the role played by technology in this perspective. The Figure of the Worker is indeed present in the world in the form of power. It is through the Figure of the Worker that Technology, as engine and instrument, brings about “total mobilization.” In a direct reference to The Worker Heidegger wrote: “Work . . . today rises to the metaphysical rank of this unconditional objectification of all things present, which deploys its being in the will to will” (Vorträge und Aufsätze). Heidegger was an admiring reader of Jünger, but also a critical one. The dialogue the two men maintained, often indirectly, proves this unambiguously. The best way to appreciate what separates them is to read side by side the texts they dedicated to one another on their respective 60th birthdays: Jünger’s “Over the Line” (Über die Linie), (1950) and Heidegger’s “Regarding ‘The Line’” (Über « die Linie ») (1955). Both texts relate to the essence of modern technology and the light it throws on the concept of nihilism. It is noteworthy that Nietzsche constitutes the central axis of the dialogue between Heidegger and Jünger. In his text of 1950, Jünger in effect takes Nietzsche’s thought as the starting point for a tentative evaluation of contemporary nihilism. He concludes with a kind of optimism that the worst passed. The modern world, he says, has passed the “zero point,” i.e., the watershed of nihilism, while Heidegger affirms, on the contrary, that this world is more than ever plunged into the “oblivion of Being” that is impossible to escape unless one abandons the language of metaphysics (“the zero line, where the fulfillment reaches the end, is ultimately the least visible of all”). Without going too far into abstract details, a review is necessary here. In the two volumes collecting his lecture courses on Nietzsche (1936–46), Heidegger claims that although the author of Thus spoke Zarathustra closes the circle of Western metaphysics, he nevertheless remains locked inside it. The will to power, in his eyes, is only the “will to will,” i.e., exacerbated subjectivity (it is a “will to itself,” a will that depends on itself at the same time as it is posited as its own object). The modern epoch of decline is that of the completion of metaphysics in the form of the metaphysics of the will, of which Nietzsche is the last representative. For Nietzsche, ultimately, “power and will have the same meaning.” Heidegger invites Jünger to think beyond the Nietzschean metaphysics of the will to power, the modern metaphysics of subjectivity upon which he continues to depend. Heidegger has nothing but the highest opinion of Nietzsche. And of Jünger. He only invites him to think further. 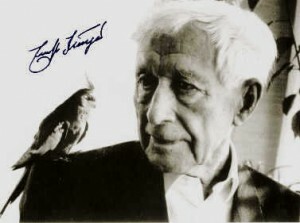 Ernst Jünger, it should also be emphasized, is one of the very rare authors with whom Heidegger agreed, after 1945, to maintain a continued dialogue, which is assuredly not nothing. For the 80th birthday of the author of In Storms of Steel, Heidegger sent this message to him: “Remain with the luminous spirit of decision that you have always demonstrated in the quite distinct way in which you speak.” The sort of remark that one imagines would be badly conveyed today by text message or email! 1. Ernst Jünger and Martin Heidegger, Correspondance 1949–1975, ed. and trans. Julien Hervier (Paris: Christian Bourgois, 2010). It is worth nothing that a good dozen volumes gathering the letters exchanged by Jünger with his principal correspondents have appeared in Germany in recent years. I would like to see translations of some of these, in particular his correspondence with Friedrich Hielscher (2005) and above all Carl Schmitt (2006). This last volume runs nearly 1000 pages.